Commercial vehicle major Ashok Leyland aims to target around Rs 50 billion from defence business, against Rs 8 billion at present. The company, which caters to the mobility needs of the Indian Army, said that revenue from defence almost doubled from Rs 4 billion over the past two years. Speaking to Business Standard at the Defexpo 2018, Amandeep Singh, Head (Defence), Ashok Leyland, said that earlier the company was able to participate only in 1-2 per cent of the total Army’s capital outlay which increased to 5 per cent now. He claims that in the space which it is catering Ashok Leyland has a market share of around 65 per cent. The company is gearing up to develop solutions to cater around 20 per cent of the Army’s expenditure, which is expected to be around Rs 800 billion in the next five years. 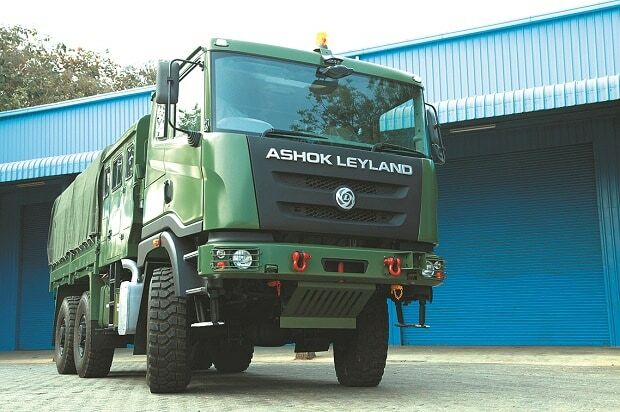 Initially Ashok Leyland was catering only to logistics space, now it caters to various applications including missile launchers and rocket launchers Ashok Leyland supplies a large number of vehicles for various applications to the Indian Air Force, Indian Navy and para-military forces like Troop Carriers, refuellers, vehicles for gun mounting, fire-fighting, UAV support and recovery vehicles, flat-bed trucks and buses. Speaking about exports, he said, till now the firm has been catering to Africa, SAARC, Thailand region and part of its phase II expansion the company is looking at Latin America.